Those are very nice looking flies. I can't wait to get my hands on one of those after the flies have been distributed. As of now I have only seen yours, Daniel's, and mine. For the swap I did my Ausable sakasa kebari. I wanted to do a post on my blog about it but have not gotten to it yt on account of the holidays. We won't have to wait much longer to see the rest of them. Thanks, Kiwi! 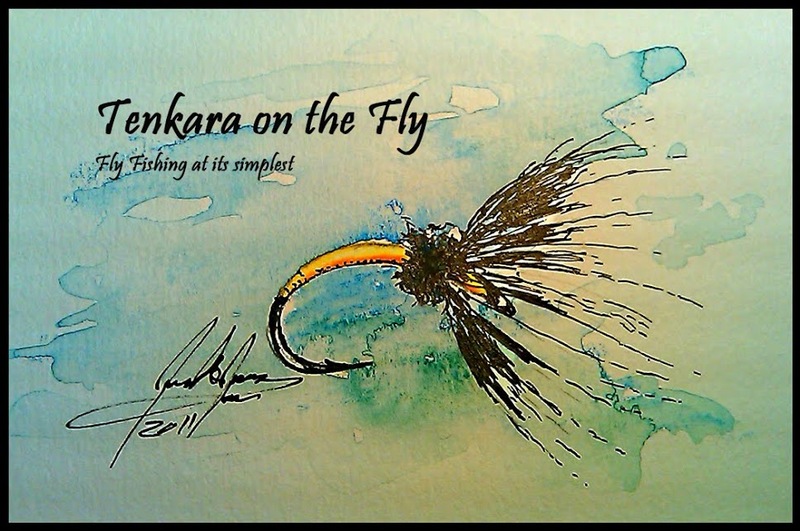 I have also been drooling over your flies on your blog, looking forward to see the whole collection soon! Very nice. Like that you used blue. Somewhat uncommon in trout flies (for whatever the reason). Those are beautiful. I wish I'd found T-USA soon enough to enter myself. If you do this again, you can absolutely put me down on the list! Thanks so much, y'all! I found the blue to work particularly well in Winter, for whatever reason. Happy New Year! I'm really looking forward to fishing that fly. Fits right in with my New Year's Resolutions!